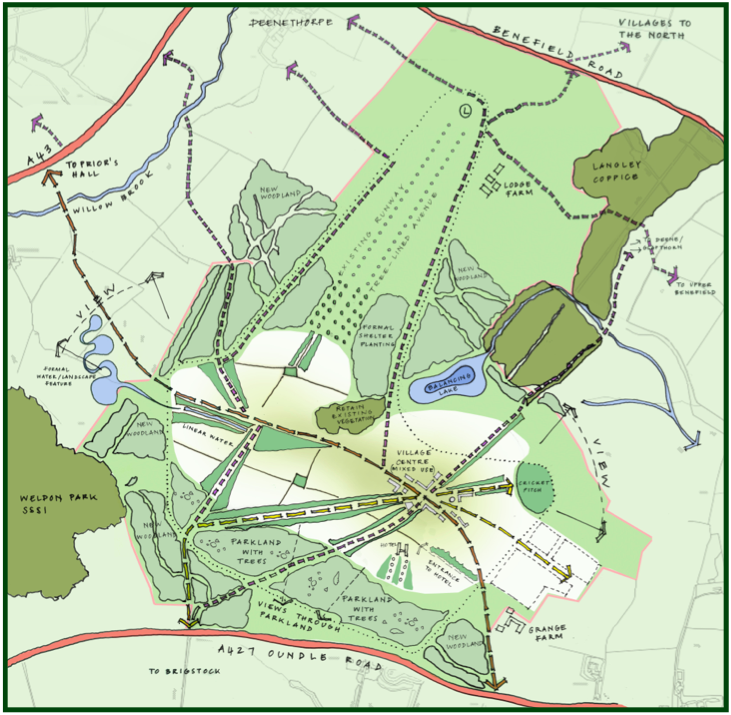 Brudenell Estates are in the process of Master Planning a modern Estate Village in the heart of the Rockingham Forest. Over the next 20 years, to keep pace with increasing housing need we need around 240,000 new homes to be built in England each year. In addition, there is a need for a further 60,000 new houses a year to be built to address the existing backlog of housing, caused by past under-provision, yet we are delivering barely more than a third of this target. Recent planning reform under the National Planning Policy Framework (NPPF) is designed to address the undersupply of housing across the UK. The NPPF’s ‘localism’ offer to communities is designed to empower people as place shapers. Of paramount importance and at its heart is the requirement to meet local housing and economic demand. Provision is required to be founded on evidenced housing need, evidenced land supply and evidenced delivery, with these items set out in the Local Authority’s Local Plan. The Airfield at Deenethorpe has been accepted as a site for one of the proposed 16 ‘Garden Villages’ to be created across the nation, under a model for sustainable rural living. We are excited about the opportunities that Tresham Village will provide. We are keen to create this new village with the backing of all stakeholders. Tresham will be a rural, vibrant, modern Estate Village in the heart of the Rockingham Forest.